Bring the ball and racquets. We’ll take care of the Tennis Court! We can provide you with tennis court resurfacing for your existing tennis court or we build you a new tennis court from scratch. Our Courts provide the highest level of shock absorption and lateral forgiveness to reduce the stress on your back and joints typically associated with hard court surfaces. Our design is a uniform layer surface that helps water move away from the court while providing superior ball bounce and traction. 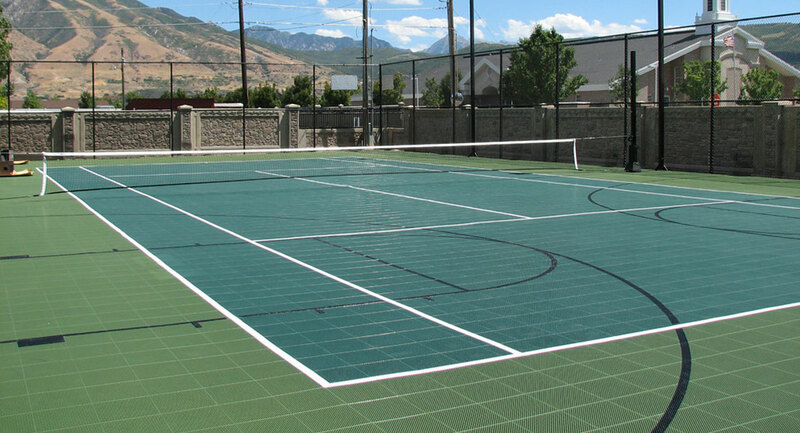 Our surface is independently rated by the International Tennis Federation for both medium and fast pace play. Our tennis courts are great for athletes of all ages, regardless of their level of play, and they will enjoy the benefits of the competitive performance and safety it has to offer. No need to worry about cracks, blisters and resurfacing every few years like traditional applications! We would like to help you with providing the Tennis Court you have in your mind. Contact us so we can team up as soon as possible.